We need to take aim at those who are environmentally indifferent and hit them with an effective call to action. If climate advocacy is to succeed, we must do more than regurgitate the same tired rhetoric, we must work on a targeted message that encourages action. While a growing number of people accept the facts about our environment, inaction threatens the survival of our species. Time is running out, and unless we can find a way to get through to those who refuse to act, we will not make the needed changes in the time we have available. It is easy to understand why many laugh at the Luddites who ignore climate change. However, this group is no laughing matter; they are in fact a serious threat to planetary health. Deniers are in the way of efforts to enact progressive national and state policies on energy and the environment. In April, 2012, the Yale Project on Climate Change Communication released a poll indicating a solid majority of the U.S. public feels that global warming is real. While almost 70 percent of U.S. citizens accept the fact that the climate is warming, there are almost 90 million Americans who do not. According to a study published in the spring 2011 edition of the Sociological Quarterly, the vast majority of Democrats accept the science of climate change, while more than half of Republicans deny its existence. The pernicious ignorance of deniers threatens life on this planet and as reviewed by a 2012 Pew study, the gap on climate is more of a partisan issue now than ever before. 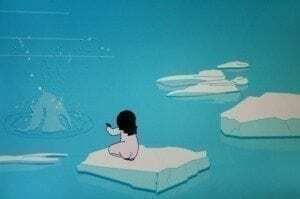 The data is irrefutable, even scientists who started out as climate change skeptics are being compelled to accept the overwhelming body of evidence. This includes people like Richard Muller, a physicist and global warming skeptic. There has been a consistent flow of data supporting the existence of global warming. For more than three decades there have been reports warning us about climate change. In 1980 we saw evidence for global warming coming from scientists who were studying Greenland’s buried ice. In 1988, NASA climatologist James Hansen appeared before a U.S. Senate committee to warn us about climate change. In 1997, the Intergovernmental Panel on Climate Change report indicated that global warming is “unequivocal”, and is “very likely” due to human activities. In 2007 a Nobel Prize winning group of climate scientists released a report that said that extreme weather is just getting started. In 2009 the National Oceanic and Atmospheric Administration (NOAA) explicitly linked climate change to CO2. In 2011, the Department of Energy said that greenhouse gas (GHG) levels have actually surpassed the worst-case scenario set by climate experts. and NASA has shown that there are measurable increases in global temperatures and decreases in sea ice. At the first Earth Summit in Rio de Janeiro in 1992, the concentration of CO2 was at 360 parts per million (ppm). Since then, it has risen to 400 ppm in the Arctic and that number is continuing to grow with no end in sight. To combat the growing body of research, the fossil-fuel industry invests millions of dollars into disinformation campaigns that try to undermine the science of climate change. They also bribe their Republican allies to board the denial train. Now there are a plethora of pseudo-scientific groups, think-tanks and others that help to perpetuate doubt. In the U.S., the failure of environmentally oriented legislation, the rejection of Kyoto and resistance to binding international climate agreements is attributable to these powerful lobbying efforts. As these initiatives fail, emissions keep increasing and the global climate keeps getting warmer. Republicans are now the world heavyweight champions of denial. Climate denial is now sewn into the DNA of the GOP. Republican propaganda casts the science of climate change into the tired old narrative that all government is bad. As recently as the 2008, Republican Presidential candidates accepted the science of global warming and advocated efforts to address it. Senator John McCain had even co-sponsored one of the first congressional bills to create a carbon cap-and-trade system. Mitt Romney, the 2012 GOP nominee, supported a regional cap-and-trade program while he was governor of Massachusetts. Now Republicans dismiss the science of climate change and their passionate partisan efforts have succeeded in blocking domestic legislation on energy and the environment. Republican confusion is dangerous, it threatens our very survival. As such, engaging Republican supporters must be a priority. While there are many who are so entrenched, they will refuse any reasonable discussion, there are others who will respond to reason. These individuals must be the focus of environmental advocacy. We cannot wait if we are to avoid runaway global warming. If we surpass key tipping points, there will be no turning back; the planet will pass critical thresholds which will have irreversible long-term consequences. As opposed to the gradual, long-term warming trend we are seeing, tipping points could accelerate or change the effects already being perceived. The timeframes suggested by these researchers indicate it may come quicker than previously believed. According to a new study, we are on the verge of an imminent, irreversible ecosystem collapse. This research indicates that the planet’s ecosystems could quickly and irreversibly breakdown this century. These conclusions were arrived at by scientists using a combination of scientific theories, ecosystem modeling and paleontological evidence. As reviewed in SFU News Online, a team of 18 scientists reviewed the Earth’s worsening trends in biodiversity and extreme weather. Researchers factored these elements in the context of the Earth’s interconnected ecosystems and presented their results in a recent Nature article. Deniers are a minority, but there are powerful interests keeping their lies alive. It is important to reach deniers because these people are preventing us from adopting the policies we need to see to stave off tipping points in our immediate future. Even those who accept the science of climate change need to be encouraged to do something about it. We need to build support for actions that reduce CO2 and other GHGs and this involves reaching out to both Republicans and Democrats. As we ebb ever closer to the 2012 U.S. Presidential elections, voters need to understand that Obama and the Democrats are more likely to support energy and climate legislation, while the Republicans are a fossil-fuel-powered denial machine. However, even Republican candidates will respond if there is enough popular pressure. Unless a critical mass accepts the facts and is prepared to vote for change, we will not be able to avert a tipping point. As Dr. Martin Luther King Jr. said, “How long? Not long.” At some point it will become painfully obvious even to those who have their heads in the sand. The day will come when no candidate who denies global warming will be electable. Perhaps the greatest challenge for those who advocate on behalf of the environment is to remain hopeful in light of increasingly dire scientific warnings. We must cultivate the audacity to believe that we can step back from the precipice because without hope, there will be no action. The industrial revolution took 200 years; the sustainability revolution will need to take a tenth of that time. The clock is ticking, which is why we need approaches that engage those who cannot see as well as those who see and do not act.